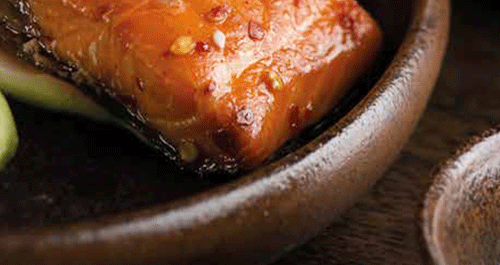 Restaurants, bistros and gastro-pubs need to create a unique image to stand out in today’s competitive market. 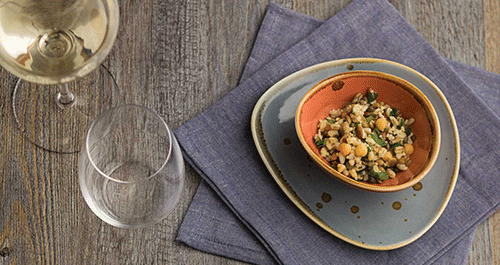 Our creative tableware range has been designed to allow restaurateurs and chefs to exercise their creative flair when presenting dishes, utilising food presentation to create a unique dining experience for their customers. Browse our extensive creative tableware collection and discover trendy serving options and creative food presentation concepts. 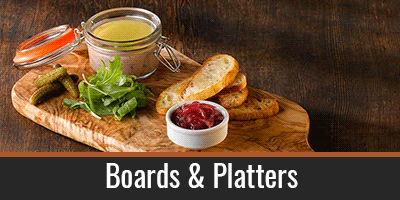 Create unique table settings with a range of boards and platters. 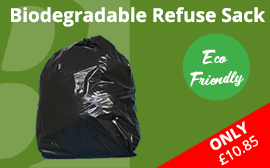 Choose from acacia wood, olive, bamboo and slate. 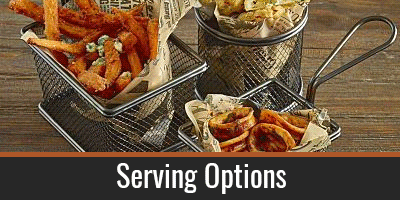 Shop our extensive collection including miniature presentation buckets, serving buckets and miniature fry baskets. 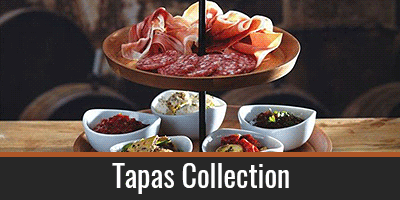 Highly versatile tapas crockery collection featuring terracotta and white porcelain tapas dishes alongside Mexican ceramics. 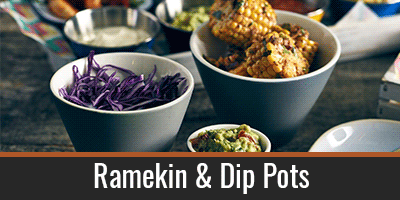 Core to creative tableware concepts, coloured ramekins and dip pots are ideal for serving side dishes and sauces. This creative range of bowls and plates breaks the mould, steering away from traditional porcelain and stoneware. 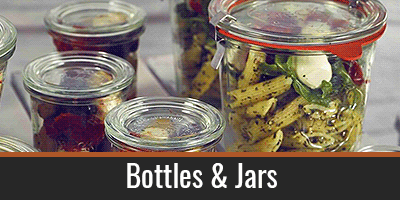 This collection of terrine jars, biscotti jars and preserving jars is ideal for presenting a range of starters, sides and desserts. 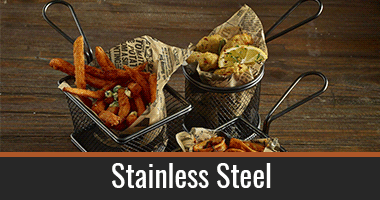 The rustic charm of enamel tableware is the perfect creative tableware for both casual and contemporary restaurants. 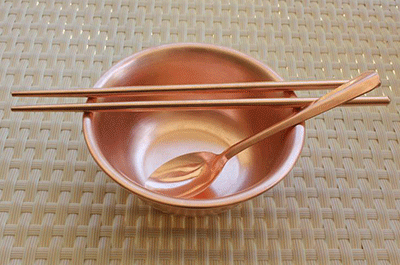 Creative tableware is not restricted to restaurants. 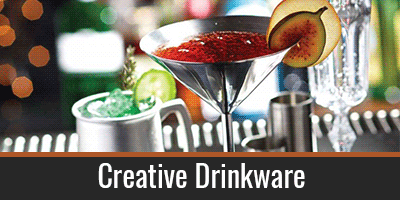 This collection of drinkware extends the concepts to bars and pubs. 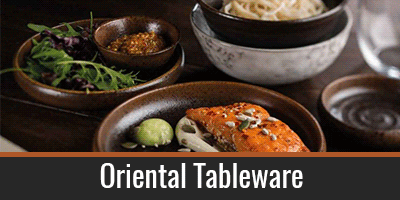 An innovative collection of oriental inspired creative tableware pieces, ideal for a variety of oriental dishes and restaurants. 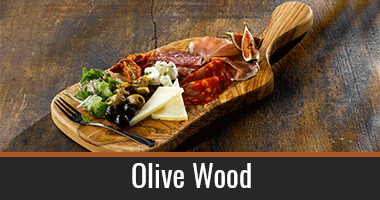 Natural olive wood serving boards and platters adds rustic feel to food presentation, with minimal maintenance. 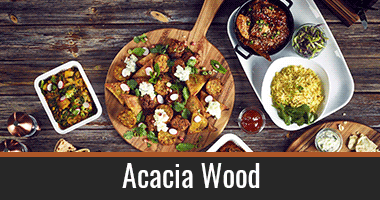 Popular for it’s unique grain, Acacia wood is one of the prettiest natural woods used for serving boards and platters. 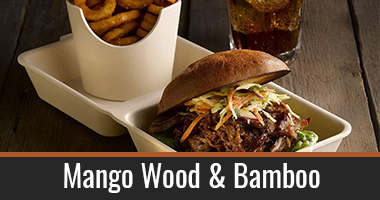 Bamboo serving boards are extremely hard wearing and versatile, making them ideal for burgers, steaks and pizza. 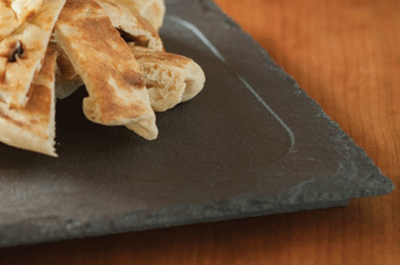 Slate boards and platters provides a dramatic presentation backdrop for your food, perfect for casual dining. 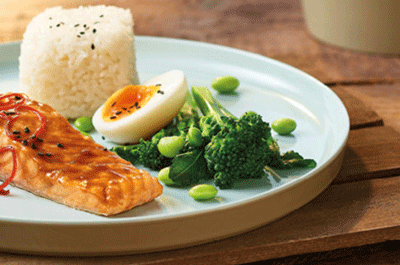 Melamine creative tableware is great for buffet service. 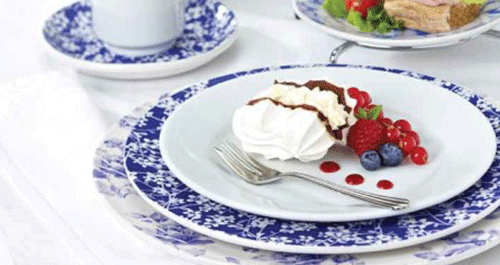 Shop for natural effect and coloured ramekins and platters. 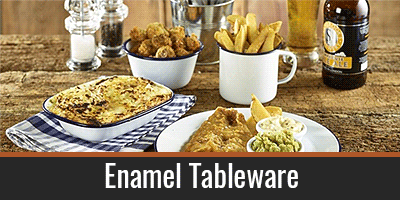 Stainless steel ramekins, dip pots, buckets and bowls are the perfect creative tableware for busy restaurants. 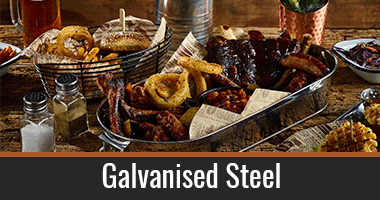 Galvanised steel creates a rustic contract to traditional metal creative tableware, adding rustic charm to dining. 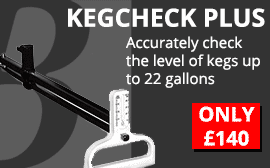 This trendy creative tableware is highly popular with modern restaurants and perfect for contemporary dining. 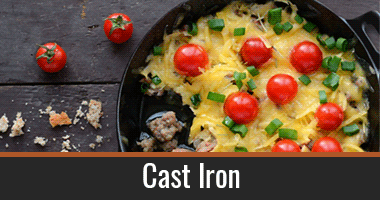 Cast iron is the traditional creative tableware. This collection of pans and casserole dishes brings the kitchen to the table. 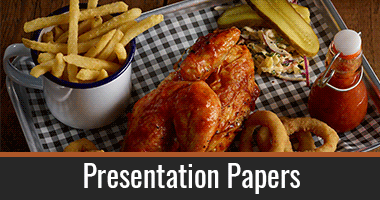 Ensure food safety with this range of greaseproof presentation papers. 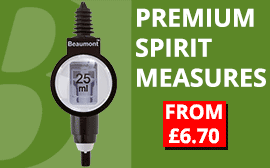 Shop for innovative designs and colours. 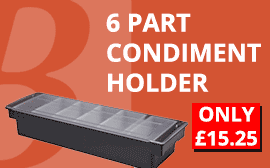 This essential disposable come creative tableware solution will help chefs to present visually outstanding dishes. 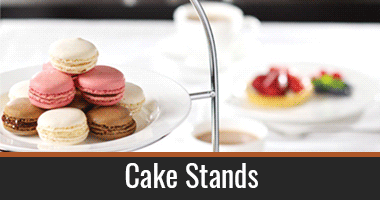 Our range of cake stands brings the creative tableware concept to cafes, breakfast service, bakeries and patisseries. 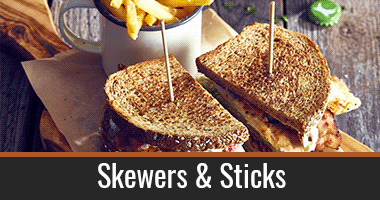 To accompany the creative tableware concepts, restauranteurs and chefs need a range of catering crockery that is unique, innovative and contemporary whilst maintaining the durability that is required in commercial food service environments. 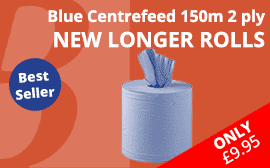 Shop our range of on-trend coloured crockery and rustic stoneware, selected for its ability to meet the high-quality standards expected by chefs and restaurant owners. 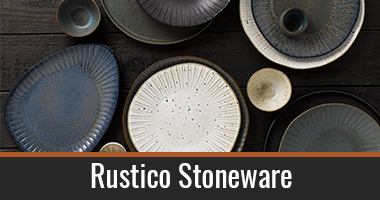 Add rustic charm with Rustico Stoneware. 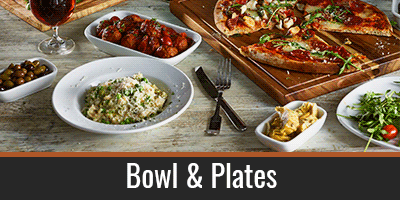 This trendy Stoneware collection features versatile items alongside signature pieces to work across the menu. Reactive glazes offer endless combinations, adding real wow factor. 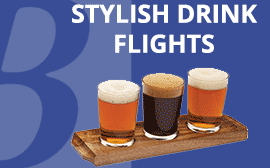 Classic design with a contemporary finish, this durable porcelain collection features five fresh, complementary colours designed to add interest to modern beverage service. 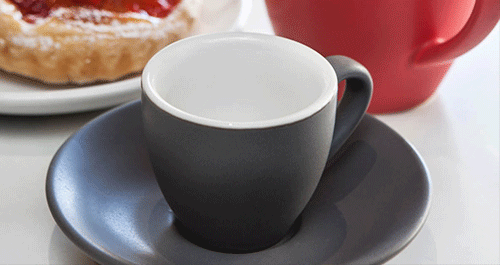 Mix and match coloured crockery to create striking combinations. 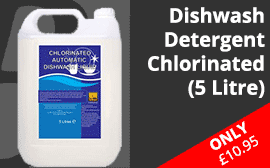 This highly traditional crockery design has become a timeless piece. Available in three floral prints the mixing of retro florals and neutral whites creates a nostalgic feel. Highly practical and highly versatile, Tribeca is a fully vitrified stoneware collection, featuring reactive glaze that ensures every piece is unique. 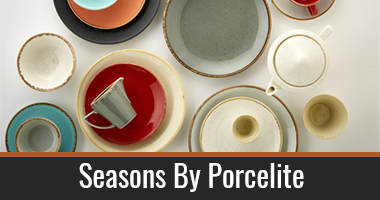 A beautiful collection of handcrafted porcelain, designed to bring rustic warmth to our urban surroundings, each piece is finished by hand making every item unique.